As we get into the dog days of summer, we find ourselves in more lawn parties or trips to the beach. No lawn party or beach outing is complete without some fun games. Especially since adult games are much better with a cold drink in your hand. Technically you don’t need a drink in your hand to play these, but let’s be honest real quick… You’re going to have a drink in your hand. These are the top 5 games games for lawns or the beach. Personally, I love Bocce. I’ve been playing Bocce for as long as I can remember (possibly because it’s a very Italian game). 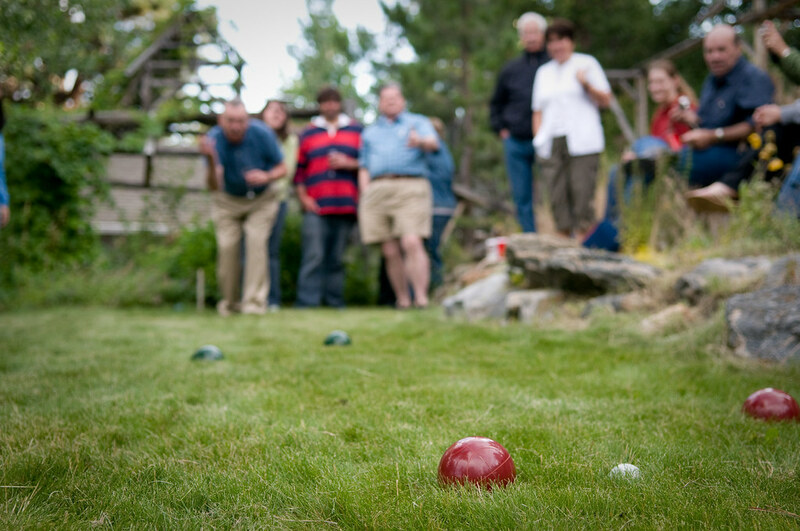 Bocce is kind of like bowling on the lawn. Throw the little white ball and try to get your 3 balls close than your opponent. It’s an easy enough game and unlikely to spill your drink. For a game with a few simple rules, so much can go on in an instant. 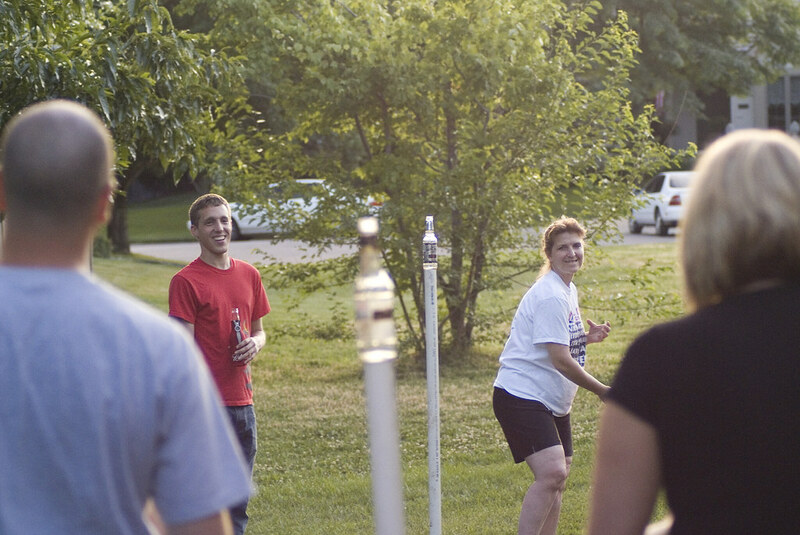 You try to knock the bottle off the pole with a frisbee to gain points, but if the opposing team is able catch the frisbee, bottle or both, you might not gain any points. Little to medium risk of spilling your drink for the most part. Spikeball is easily the most exciting game on this list, and most difficult. 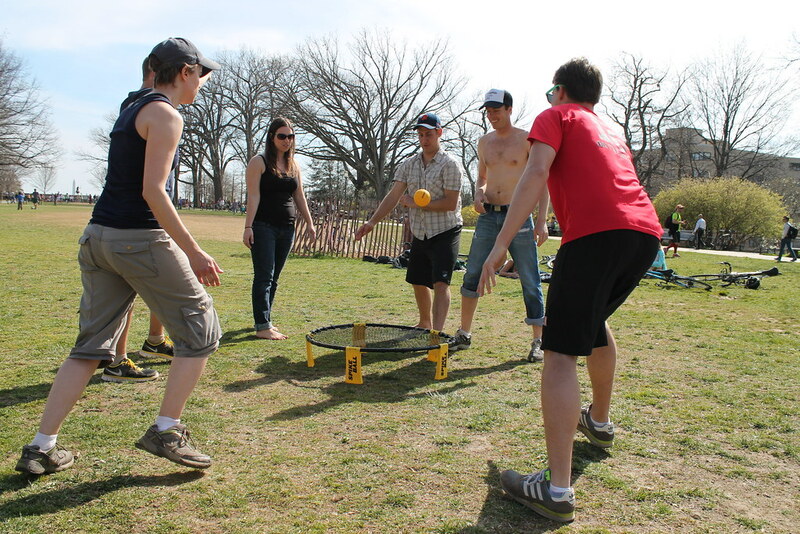 Spikeball is a 2on2 game and it takes some skill and chemistry to actually be really good. That said, the game is fun even if you stink. Plus the more you play the better you get, you can easily see improvement from your first game to your second. Its way too hard to explain and make it sound fun so here’s a video. Medium to high risk of spilling your drink.